Nice one – and very vivid! Where is this? Thanks Robert! This particular one is at Ironton Rail-trail ruins. I love this! Where is it and how did you find it? Thank you! 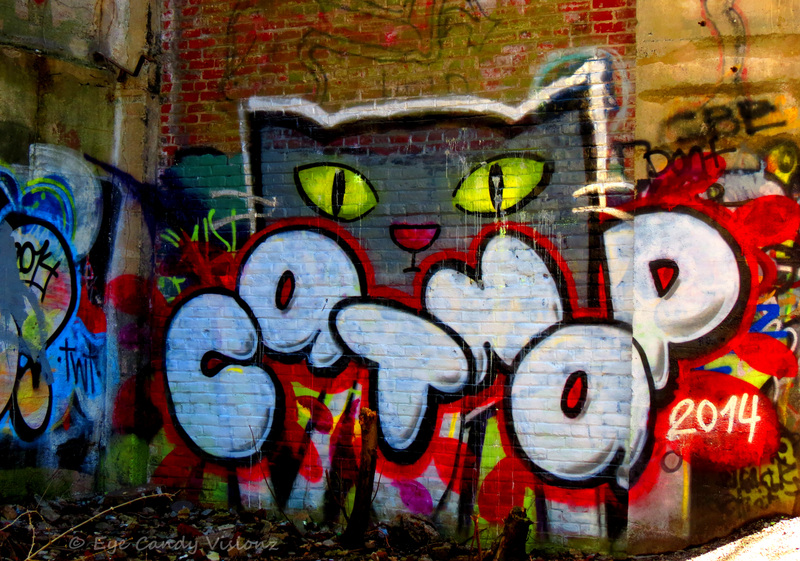 This particular signature graffiti by Catnap is on a ruin wall at the Ironton Rail-trail in Coplay, PA. Catnap is pretty popular in my area of Pennsylvania as far as Urbex.